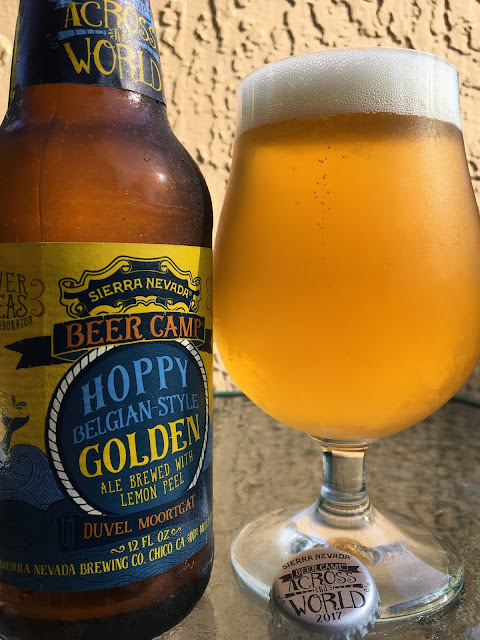 Sierra Nevada's Beer Camp Across the World 2017 collaboration with Duvel Moortgat was actually the first of the mixed 12 pack I tasted, even though not the first one I published about here. Don't read into that, means nothing on the back end. 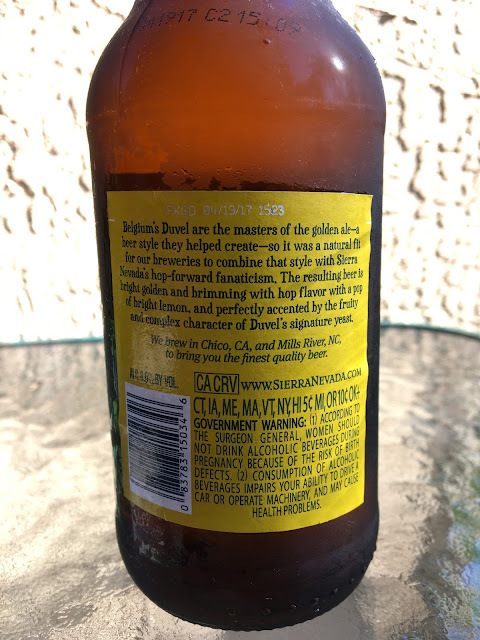 On the front side of things, though, it means Duvel is one of my favorite breweries and I can't want to try their beers! Hoppy Belgian-Style Golden Ale is brewed with lemon peel, and the story on the back of the bottle gets you pretty psyched to try this new beer! PKGD 04/19/17. 8.0% alcohol. Lemony with some malty bready sweet aroma, not strong but very pleasant. Sweet, malty, bready flavors also open things up but are quickly pitted against some candied lemon rind. There is plenty of Belgian yeasty character throughout. Nicely hoppy, lightly bitter and a little bit of spice. Repeat. Soft enjoyable flavors: apples, bread and a sharp streak of lemon. Bright and flavorful. Nice beer!